Cosmo Appliances 34″ Gas Cooktop in Stainless Steel features Jet Nozzle Burner, Rapid Burner, Double Semi Rapid Burners and one Auxillary Burner. 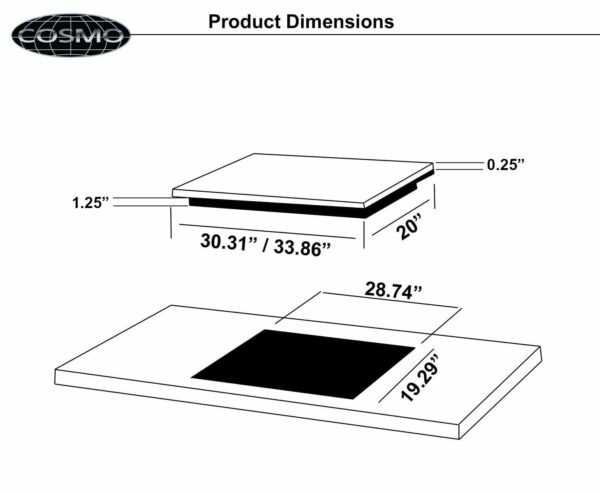 Cosmo Kitchen, bringing you the benefits of styling, manufacturing and performance excellence as cost-effectively as possible. 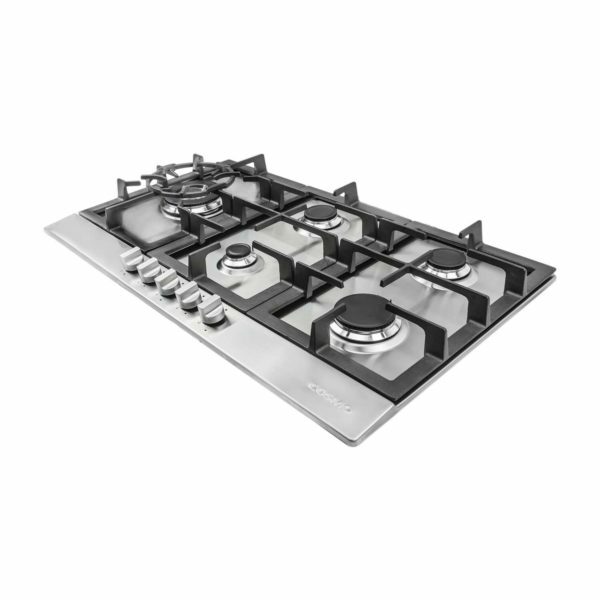 Let this gas operated appliance help you create meals like a professional chef in your own home. Designed to perform as well as it looks, this gas cook top features 5 gas burners which allow you to cook from a high heat for boiling, frying or searing to a low simmer for the most delicate sauces. Also gives you the precise control demanded by serious cooks. A 16,000-BTU Triple Ring Super Rapid 5 Jet Nozzle burner, one 8,500-BTU Rapid burner, two 6,800-BTU Semi-Rapid burner, one 5,000-BTU Auxiliary burner. Front controls provide easy access to burner flame settings. 16,000-BTU Super Rapid burner for high heat searing. 8,500-BTU Rapid burner for medium cooking. 6,800-BTU Semi-Rapid burner for everyday cooking tasks. 5,000-BTU Auxiliary burner for low heat cooking. Compatible with propane gas when LP kit is purchased and installed. At $394, this stainless steel cooktop is a great value! I bought mine with a propane conversion kit. Shipping was free can’t complain about that. We were looking for a reasonably priced cooktop. This one fit the bill. On the big burner, I am not sure what the big ring is for but its easilly removable. So far great cooktop and no problems so far. Nice strong heat! Great investment. We use it all the time. This cooktop looks great. 5 burners is just right for me to make the family dinner and more. Beautiful cooktop. Installs easily. Dials are steel not plastic. Nice finish. Heats up much faster than my former one. Used many times a day by my family. For this price, this cooktop is a deal. Quality made and very sturdy. Good looking and works good. Do not miss this. Looks pretty when you install it, the material is all steel and iron, high quality cooktop quality. Heats things up really fast. I have gas at my place so I’m used to creating instant fire from nothing. I make steak for one a lot. Sometimes with mashed potatoes but thats how I roll. The gas burner looks great and installing it was easy. 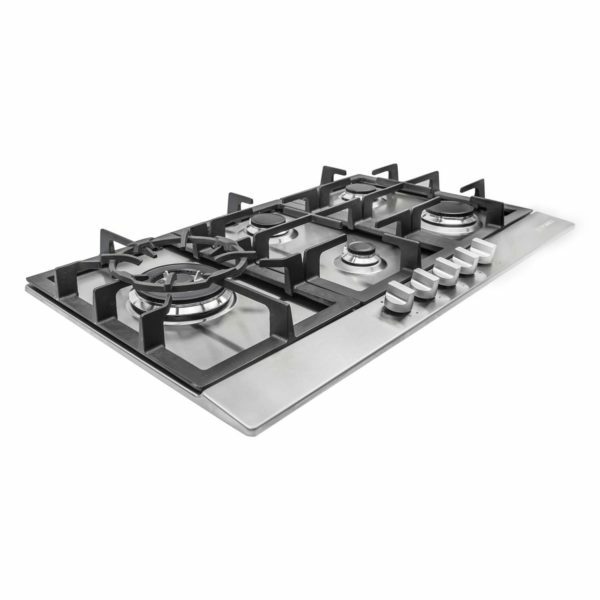 It has 5 burners with metal knobs which makes life easier when cooking. 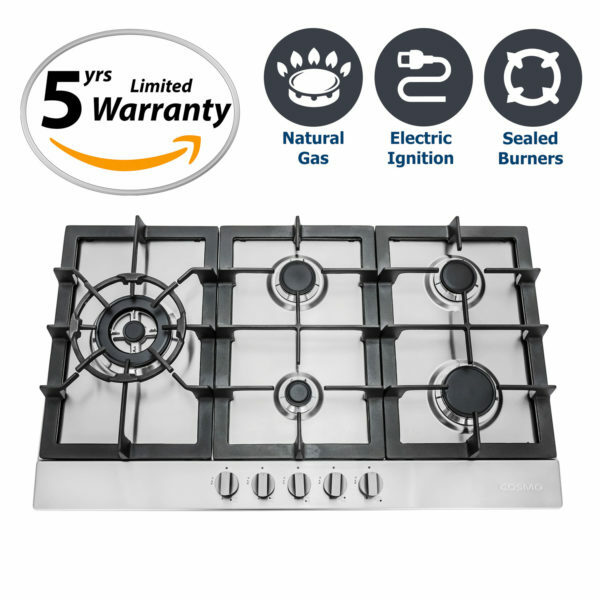 I installed my cooktop a few months ago and have had a positive experience. Assembly was required but it was a matter of common sense. There were no issues, at installation and non so far to this day. I opted for the 2 year extended warranty just in case but it doesn’t look like I’ll need it for this unit. 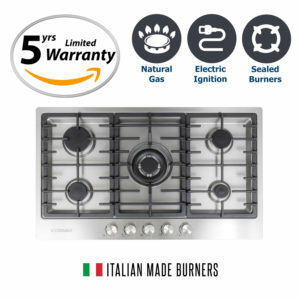 I received this stove top today i immediately installed and was amazed on how quickly it heated up and got what i used hot!…great product from this company!! !…will purchase other products from Cosmo. Excellent Upgrade. My wife is happy with this stove top. Well worth the price paid and the trouble of removing your old stove. 5 Stars. The Cosmo cooktop is everything I expected. It heats up, fry’s and boils our food rapidly. Very good product for the price that it is. Looks great, works fine in our home. Recommended to anyone not willing to spend big bucks on a name. Product came quick and on time. it came in a large box and was nicely packaged to stop any form of damage from shipping . The product is nice looking stainless and is the ultimate house warming gift for anyone that likes to cook. Installation was only 5 minutes not counting the time it took to remove the old cooktop. I bought this for my daughter who is living on her own now. She can make home style food in her apartmnet. Cleans easy, with no problems. I highly recommend it. 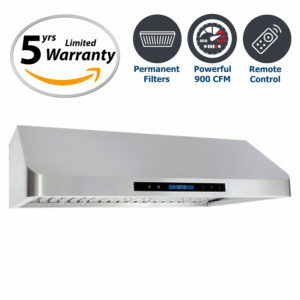 Zero problems with any part of cooktop install and it works great. I would also like to point out that the knobs are steel instead of plastic which melts. Coming from an electric cooktop to this propane cooktop, and I couldn’t be more pleased. It is also very easy to clean since its stainless steel. But that is probably the case with most, stainless cooktops. Cooking with propane is a lot faster and much better than any electric cooktop. 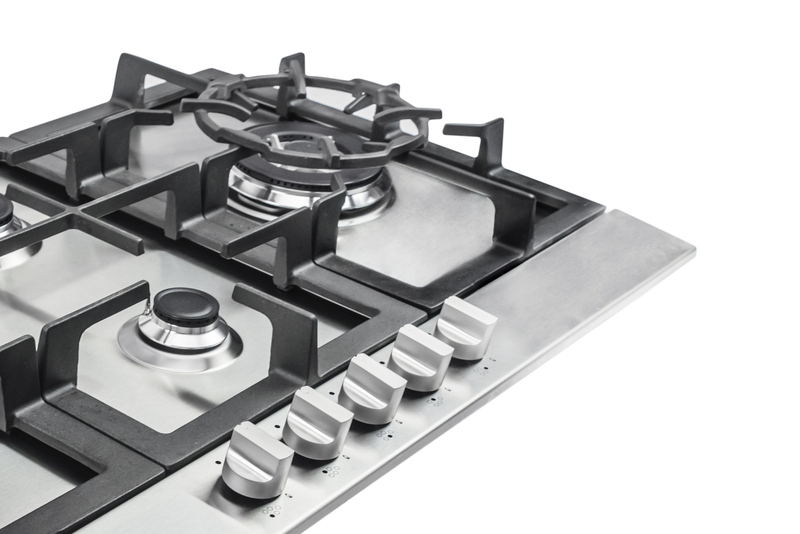 The cooktop details are right and the works just fine with no problems. The stove works great. Love that its all shiny metal, looks like it should be in a futuristic movie. We got ours professionally installed. Knobs are metal not plastic like in my other cooktop which kept snapping. I make pancakes and breakfast every weekend and its held up great. Beware of cheap cooktops which have plastic knobs that eventually melt because of heat. Its been a year and zero problems from the start. Great stove top. Replacement for an old electrolux model that failed after 2 years of near daily use. Chose this model for the complete stainless steel top and iron grates. So far so good. Easy to clean, strong flame, great price! Love my Cosmo cooktop. It is much faster than using my old cooktop. I received it with no problems or defects and works perfectly. 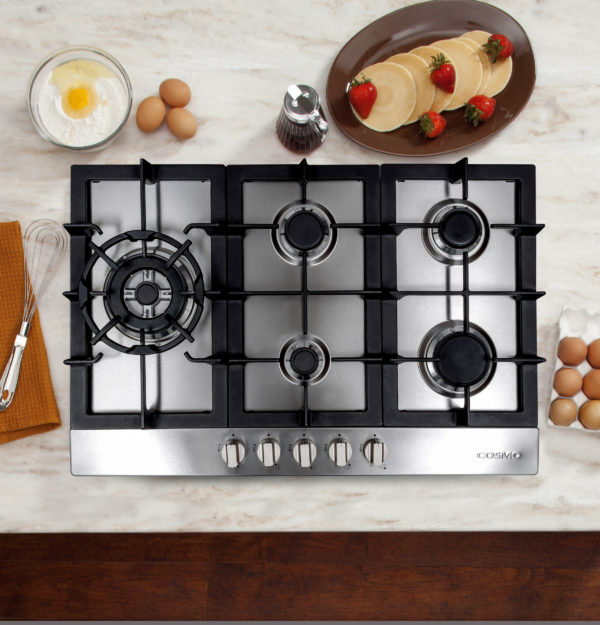 A really great cooktop that is tough, well laid out, and very good for cooking. It was also very easy to install. 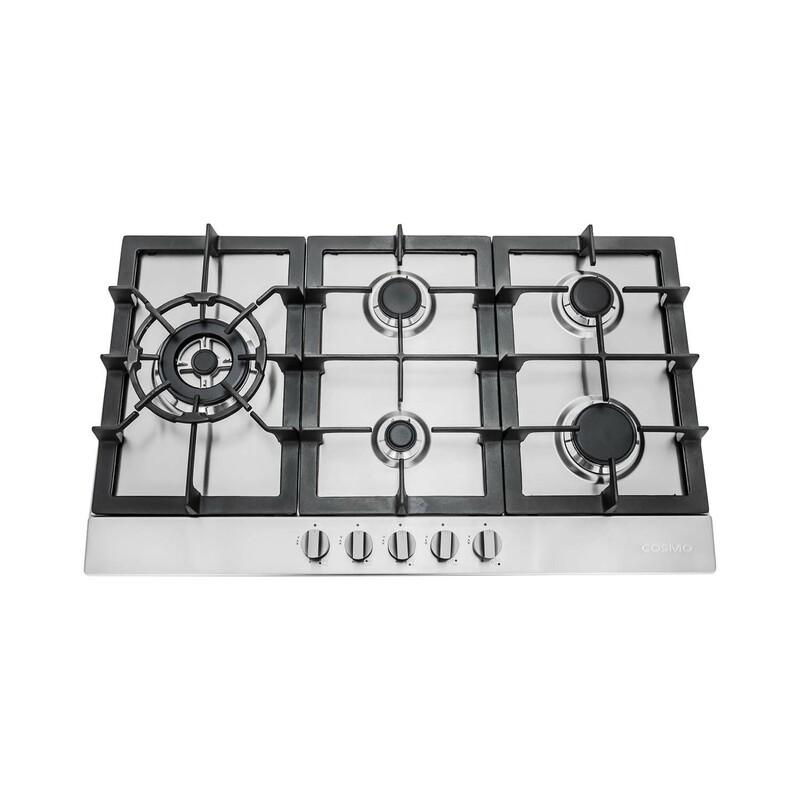 Great cooktop, it features 5 burners and heavy steel knobs which gives off this classic feel. A very heavy and sturdy cooktop. It boils water fast. The grates are heavy cast iron while the knobs are steel. Not the regular plastic in this price range. Very pleased with Cosmo. 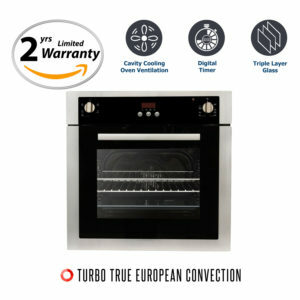 Heats up very fast and is a nice size for our island counter. This cosmo cooktop is a work horse in my home. The big burner is perfect for boiling large pots and stir fry’s. This appliance is a very good value. You’d have a hard time going wrong with this one.